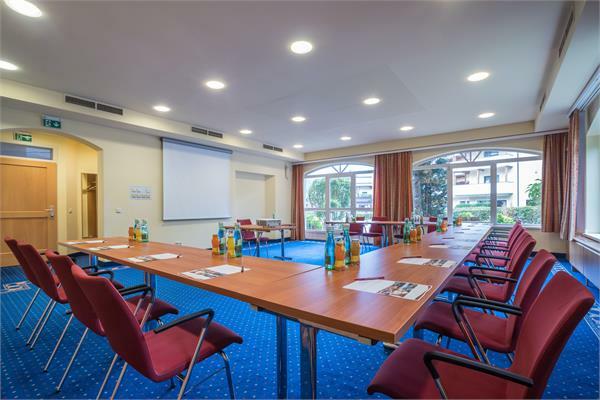 Our events area is divided between the two meeting rooms and break area in the Untersberg VIS À VIS annex and the events area in the main building with three meeting rooms, including a group room and break area. 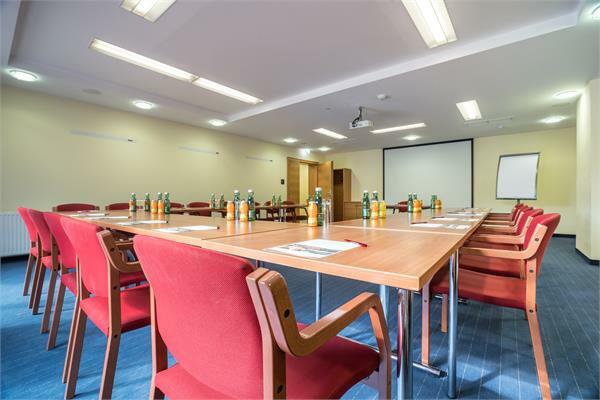 All rooms are of course equipped with the latest conference technology and the tables can be rearranged. 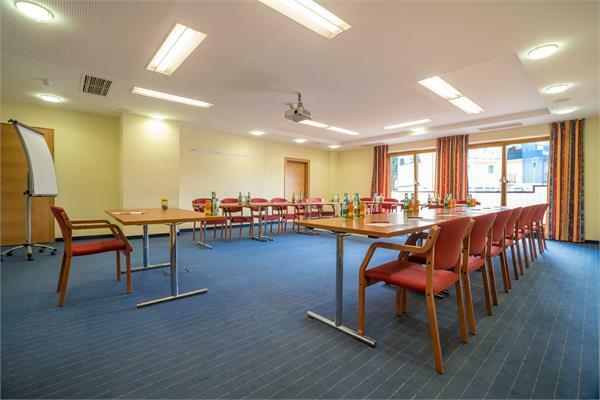 The Hochkalter event room in the main building is 40 m2 and is suitable for events with around 10 people. 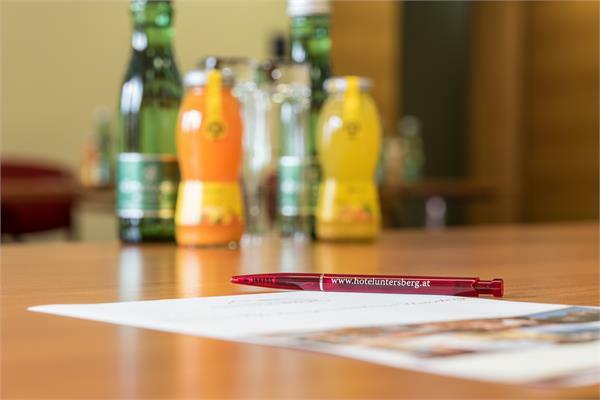 The Schmittenstein event room in the main building is 60 m2 and has an adjoining group room (+27 m2), making it ideal for sales courses with video clips, in particular, but also for all kinds of events and meetings. 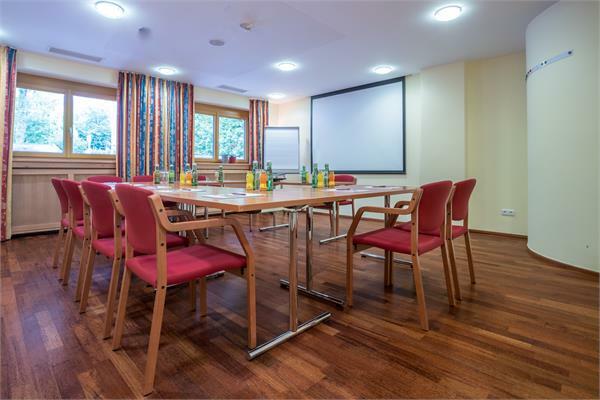 The Watzmann event room in the main building is 42 m2 and is perfect for 10 to 15 people. The Geiereck event room in the VIS À VIS annex is 57.5 m2 and is ideally suited to workshops and events with up to 22 people. The Hochthron event room in the VIS À VIS annex is 58 m2 and has a large front window that lets in lots of extra light. 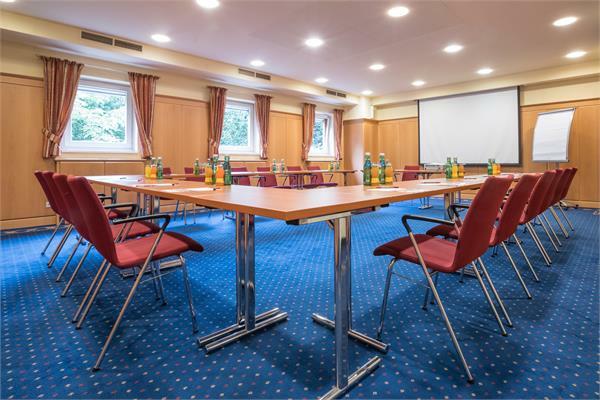 Depending on the seating arrangement, this room is perfect for events of up to 25 people. 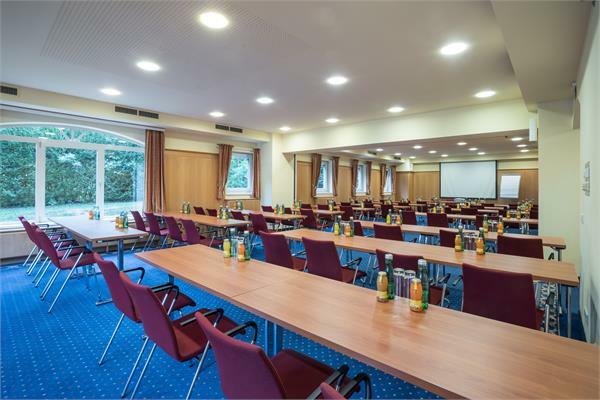 The Geiereck and Hochthron event rooms in the VIS À VIS annex can be combined to create a total space of 119 m² that is ideal for larger events.